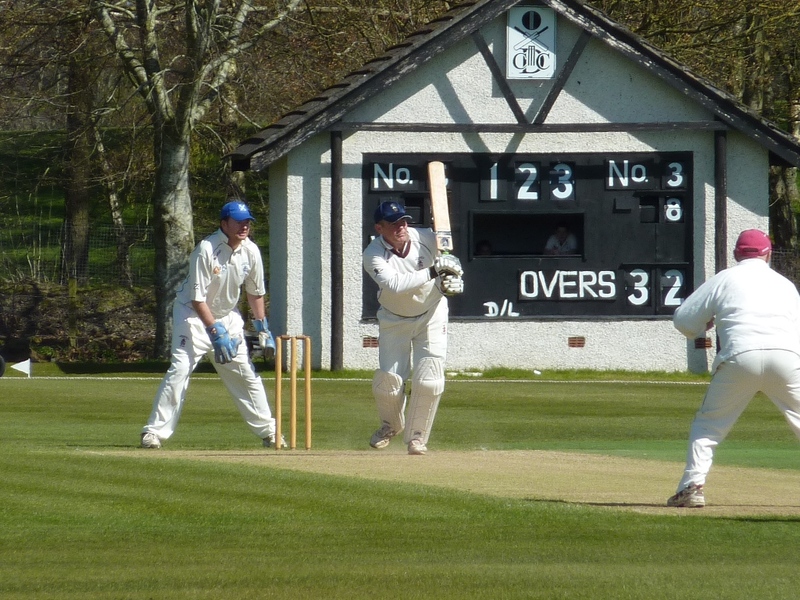 On Saturday, Dumfries 2nd XI, Eco-Genics Nunholm, won their friendly against Galloway at a sunny Nunholm prior to their competitive matches starting this weekend. Nunholm batted first and lost three early wickets to the bowling of Conn and Flack. However Chris McBride took the side past fifty with his score of 23. Meanwhile Davie Davidson provided an important backbone for the innings in further partnerships with Potts, Rafferty and Kyle. Davidson accelerated the scoring in the latter overs to finish as the side’s top scorer on 78 not out and the Anderson Kilts Dumfries Man of the Match. Nunholm finished on 176 for 9 after the 40 overs. Galloway looked on course to challenge that total as guest opener Chris Brockwell produced a succession of boundaries. The losses of Bradley and Conn dented that hope but a rate of four an over had been maintained at the twenty over mark. However Brockwell had already passed sixty when was out to an excellent running catch in the deep at long-off. That altered the complexion of the game as Davie Davidson followed his efforts with the bat with four wickets and Stuart Alexander took two for Galloway to be all out someway short of the target. This Saturday, Nunholm play at Torrance House in the Western Cup and Dumfries firsts, Stafforce Dumfries, play at home at 1pm against East Kilbride in the CricHQ40 Cup. On Sunday Dumfries’s Kirsty Strachan and Rosy Ryan have been selected for Scotland Women and the Scotland Development XI respectively against Durham at Stirling. New players are very welcome and the club can be contacted for details on dumfriescricketclub@gmail.com or 07799 856094, or come along to training at the Dumfries Sports Club at Nunholm on Tuesdays from 6pm, or see www.dumfriescricketclub.co.uk . 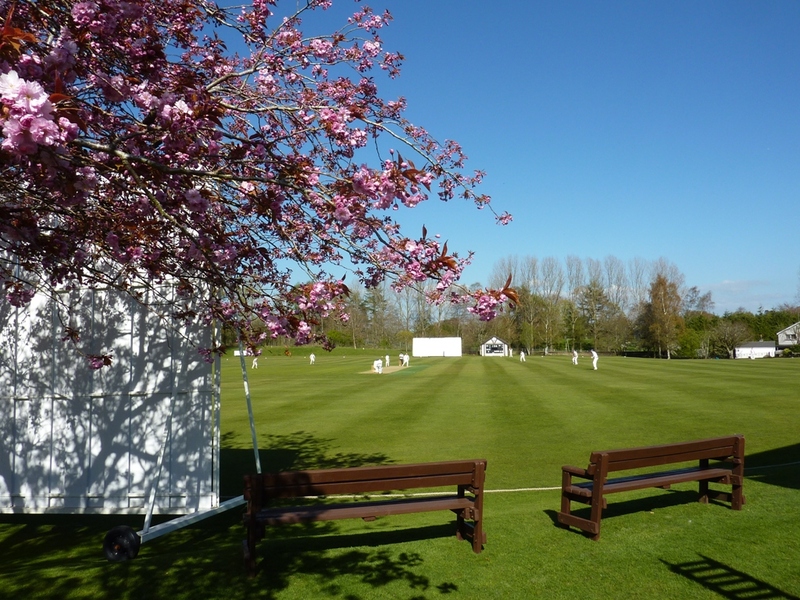 JUNIOR CRICKET: junior coaching commences at Nunholm for the summer on Monday the 28th April, 6:15-8, for boys and girls, suitable for ages 8 to S2. For details contact Trefor Williams on 01387 256455, or the club as above, or just come down on the night.